The first person POV from Luke was fascinating during this time frame. Kevin Hearne did a great job of getting into a young Luke’s mind. 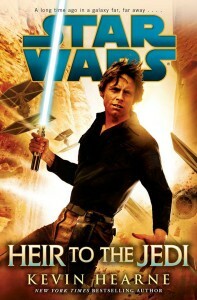 I really enjoyed reading the insecurities and feel that Hearne brought a previously missing depth to Skywalker. Other authors have attempted to give us this, but without actually reading Luke’s thoughts it was difficult to really capture how Luke felt after Obi-Wan Kenobi’s death and discovering the ways of the Force. So much of this part is seen in Empire and Jedi but the movies can only do so much without random narratives that wouldn’t have worked in with the rest of the films. It was fun to read Luke’s thoughts concerning his inadequacy with women and other things alongside his thoughts on the Force. Sometimes I think that Luke had to grow up too fast and this book served as a great reminder on how naive he really was when he blew up the first Death Star. The flow of the story was a little odd. I’m not sure if the format was author’s choice for a reason or if it felt more disjointed being a first person POV and trying to get so much into one story. I read first person POV all the time in the fantasy genre so I am more familiar with the format and it is my favorite style to read but I think the story lost something with how things were fleshed out on paper with only Luke’s view of things. It took me about half the book to get accustomed to the roller coaster style that has been likened to multiple comic books put together in written format. Once I had that figured out then the book was a quick, pleasurable read. 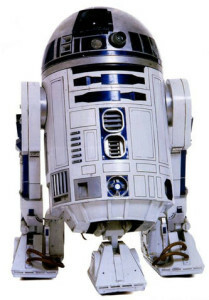 One thing Hearne does exceptionally well is his use of Artoo. I’ve mentioned previously how droids and nonhumans are a large part of the sci-fi part of the space opera and sometimes authors forget this and just use humans for everything. So I was a little worried with a new-to-Star Wars author writing this book. I was afraid they would not have the experience including the droids. All six movies really solidified that the droids are important and we’ve become used to the droids being a central, integral part of the story often facilitating an escape or rescuing the hero. This is something else that has been missing from Star Wars books recently and it is refreshing to see Kevin Hearne embrace the use of droids as an important part of the story. I also totally got teary eyed during a Luke/Artoo interaction that definitely needs to happen more in future books. Hearne also continues the trend that John Jackson Miller started in A New Dawn to use nonhumans in Star Wars again. I freely admit to being fairly easy to please when it comes to Star Wars books, but something that bothers me is when I am catapulted back into reality by terms an author uses. For as long as I can remember reading Star Wars books a bathroom has been called a refresher. It may seem like a small complaint to have concerning the use of the word bathroom in a Star Wars book, but there was a precedent for the term refresher and I like the Star Wars words to be used. Those words help set the tone and the atmosphere and are necessary for the authors to use. Part of the reason I read is to escape from reality for a little while and enter a world where people can move things with their mind and fly across the galaxy. I don’t want to be reminded of real life and while the logical side of me doesn’t think words like these should matter, it mattered enough for me to speak out loud when I came across the word while reading Heir to the Jedi. Some random thoughts: I tend to see complaints about authors referencing things from the movies in the books and Hearne definitely does this. I, however, found his way to be funny so I didn’t mind. There are far better things to focus on like Hearne’s adding to Luke’s piloting skills. For so long I’ve been immersed in a galaxy where Luke is Grandmaster of the Jedi Order and while he did still fly a bit it is nice to see that part of his skill set being added to at this stage in the timeline. All of these stories add to the reputation of Luke Skywalker as a great pilot, especially since he is so weak in the use of the Force at this point. I also absolutely adored the math joke. Maybe because I’m a math person or because I like random puns, but wow the one in the book was hilarious and I loved it! The other part of the book that I’d really like to discuss is the ending. However, I don’t intend to post spoilers of that magnitude here so I’m going to hold off for now. I think there is a great discussion to be had there so I can’t wait to be a part of that. I applaud the author for the ending not just because I liked it but because it will spark conversation and that is something that is going to be good for fans and message boards across the internet. I encourage you to actually read Heir to the Jedi before commenting on those discussions though. Just hearing someone’s version is not a good substitute for reading it yourself. I enjoyed the book – although it was just too short. And I find it frustrating that an interesting new character was introduced, but you never really got inside her head. Maybe if things had been extended and she had gotten some first person chapters, that would be have better. But all in all — it didn’t feel like it was a full book… more like it was a short story that got expanded a bit, but not enough.